After sitting empty for a while, Grand Café opened up in the vacant dining space at the Scotsman Hotel. The interior looks opulent without being intimidating. 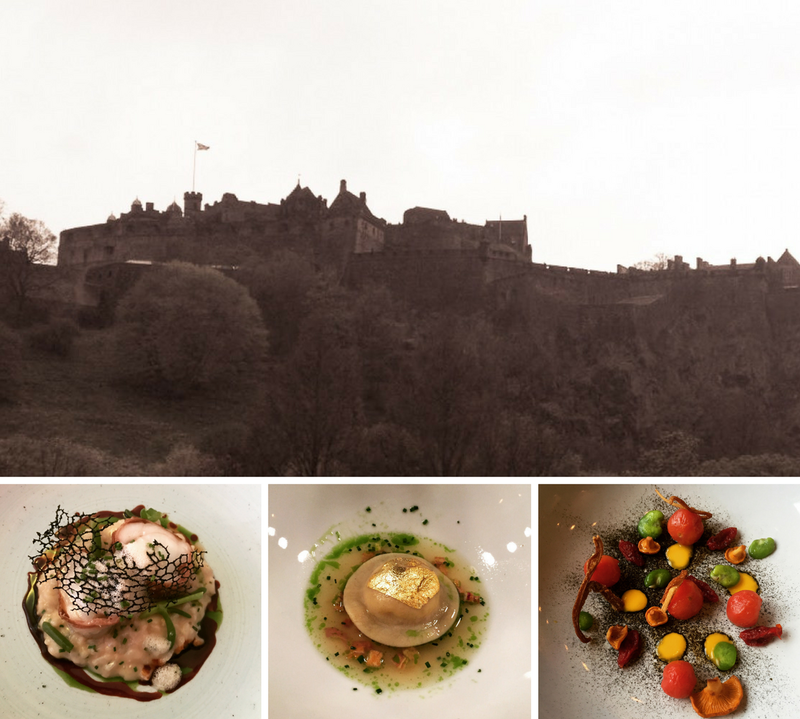 We’d made a trip to try out the brunch and were greeted by friendly staff and shown to our table (where I had a nice view over to Calton Hill). As we were giving brunches a test, it would have been rude of me not to try the Scottish breakfast. My dining companion chose the sourdough toast, with avocado, poached eggs and salsa verde. On arrival, the food looked nice. My breakfast looked nice, albeit a little dry as it had no beans. I wish I had asked for sauce but as it wasn’t offered, I probably wrongly assumed that they didn’t have any. The flavour was good, particularly of the haggis, which was actually some of the best haggis I have ever eaten. The bacon cooled quickly and was a bit chewy, which made me think it was either not cooked to order or had been sat on the pass for a while. Having both lorne and link sausage also seemed a bit overkill, but again, the lorne sausage was pretty decent. Across from me, the sourdough toast was being eaten but with a feeling it was lacking a bit of oomph. Sadly, on both dishes the eggs were over cooked. They were cooked different ways too, so it wasn’t just a bad batch of cooking. My fried egg had no runniness at all, and neither did the poached egg on the sourdough toast. Considering it is often the egg yolk that adds to the richness of dishes, this was very disappointing. We did mention this to our server at the end of the meal, just so the chef was made aware (we are not the type to send something back unless it’s inedible/cold). Whilst generally, the food had good flavour, what we had was a bit hit or miss and has left us inclined to give it a miss next time as there are better establishments out there. Would I eat here again? Unlikely but never say never. £22 for the two breakfasts and a cup of coffee.